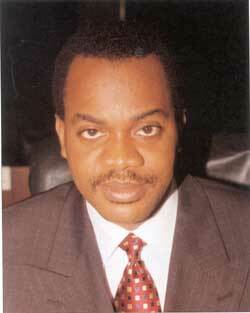 Donald Duke is easily the most impressive Governor, both to listen to and in terms of record. Cross River is now a model state for the rest of the country, with the cleanest city - Calabar - the best tourist resort - Obudu - and the most exciting business development area - Tinapa (due to open early next year). Duke is young, articulate and has been working in accord with a twenty year plan for Cross River. It is a pity that it may be he is considered too young or too something not to be taken seriously as a presidential candidate. In my three and a bit years in Nigeria, I have not seen anyone come close to Duke in terms of political ability, vision and action. If I could, he would get my vote. If the current lot of discredited purse-snafflers were replaced by a bunch of men and women of the calibre of Duke, Nigeria (and Africa) would be on the brink of an incredible renaissance. For Jeremy of all people to support Duke, he must have been very impressed. For me, I appreciate the passion he's been putting into the tourism sector. No other Nigerian in any political office is half as passionate. What Duke will do for Nigeria will be the ninth wonder of the world. Do not doubt if he can be president, just do your bit to see your dream come true. The rest will be taken care of. The youth in Kubwa, the largest satellite town in West Africa asked me to tell the governor that they are all by his side because they believe he (the governor) has at heart the youth. They also asked me to tell Donald Duke that they have something great to offer for his campaign if only they are given the chance.